Presents thirty walks in the New Forest, one of England's popular areas. This work includes the history of the New Forest and information on geology and natural history. This work includes thirty walks in the New Forest, one of England's most popular areas. 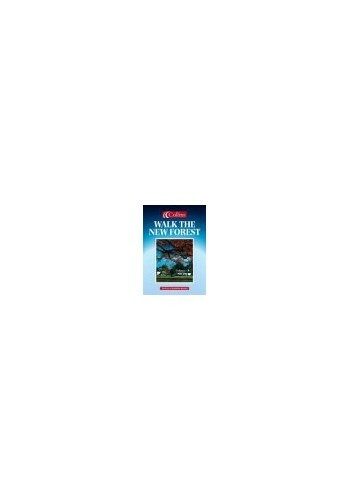 Each walk has step-by-step route directions, an easy-to-follow map and a description of points of interest along the way. Each walk graded according to distance and difficulty, from short strolls to longer hikes. It includes a brief history of the New Forest and information on geology and natural history. Other titles in the series are: "Walk the Cornish Coastal Path"; "Walk the Dales"; "Walk the Lakes"; "Walk Loch Lomond and the Trossachs"; "Walk Loch Ness and the Spey Valley"; "Walk Oban, Mull and Lochaber"; "Walk the Peak District"; "Walk Snowdonia and North Wales Lake District"; and "Walking Map Munro Map".